It's easy to take the places you visit every day for granted. But for illustrator Will Knight, it's the bike shops and bakeries and newsagents where you can best observe "the ebb and flow of daily life." With a background in architecture, Knight has been documenting these spaces in his home of Glasgow for years. 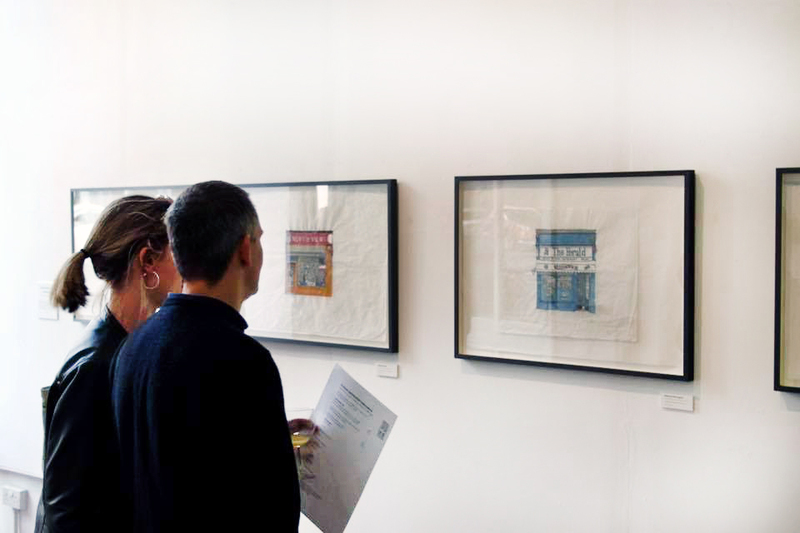 This month his work is on display in a new exhibition, Glasgow Independent Newsagents Shops: A Celebration in Drawings at New Glasgow Society. 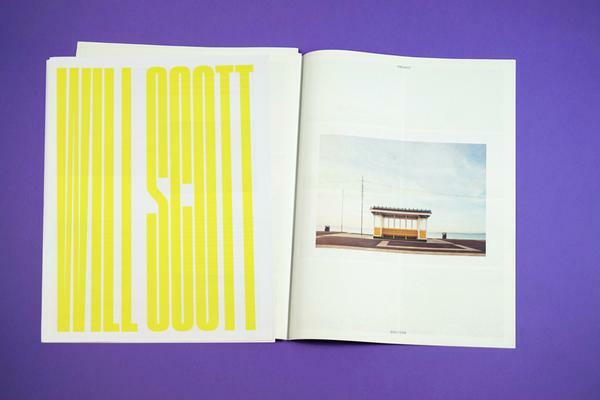 To accompany the show, Knight published an "exhibition record" in the form of a digital broadsheet – just like you'd find at the newsagent. Copies of the newspaper are fittingly displayed atop boxes of Quavers and Wotsits. 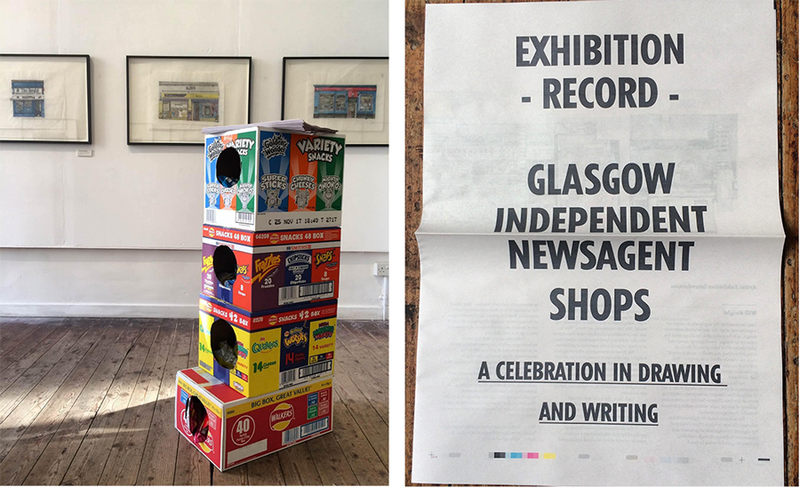 Glasgow Independent Newsagent Shops exhibition at New Glasgow Society. Photo via Will Knight. Here, Knight tells us about his (meticulous!) drawing process and the three must-have qualities of a good newsagent. 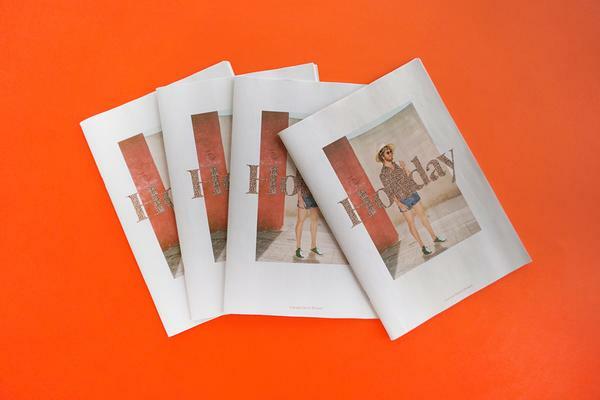 What was the inspiration for your Glasgow newsagents project? I am fascinated by the way in which people reorganise and adapt the spaces which architects design – to be sustainable, buildings need the capacity to change. Investigating change and adaptability often takes place on the large scale, but looking at a smaller, more personal scale can equally afford new insights. I like celebrating everyday places like newsagents: places we may visit daily, but take their character and atmosphere for granted. Illustration in progress. Photo via Will Knight. Can you tell us about your drawing process? Do you draw from life or from photographs? The architect Sarah Wrigglesworth has informed my ongoing investigations of domestic and commercial buildings through recording, measuring and drawing by hand. She comments that "to capture something as large as a building on the size of a piece of paper, architects work to a reduced scale, using symbols and codes to represent the world." She has considered, as I have, "how to use the conventions of architectural drawings to describe space as a lived experience rather than as a static or predictable moment of perfection." In order to do this I first measure the space and take lots of photographs, then choose an appropriate scale to make the drawing. I pencil out the key elements, before penning over this in greater detail. Finally, I add watercolour. Interior of Rajous newsagent in Glasgow. Illustration by Will Knight. These drawings are 1:20 scale which allows the viewer to see the full volume of space occupied but also, crucially, the way that space is inhabited with stock and shelves. 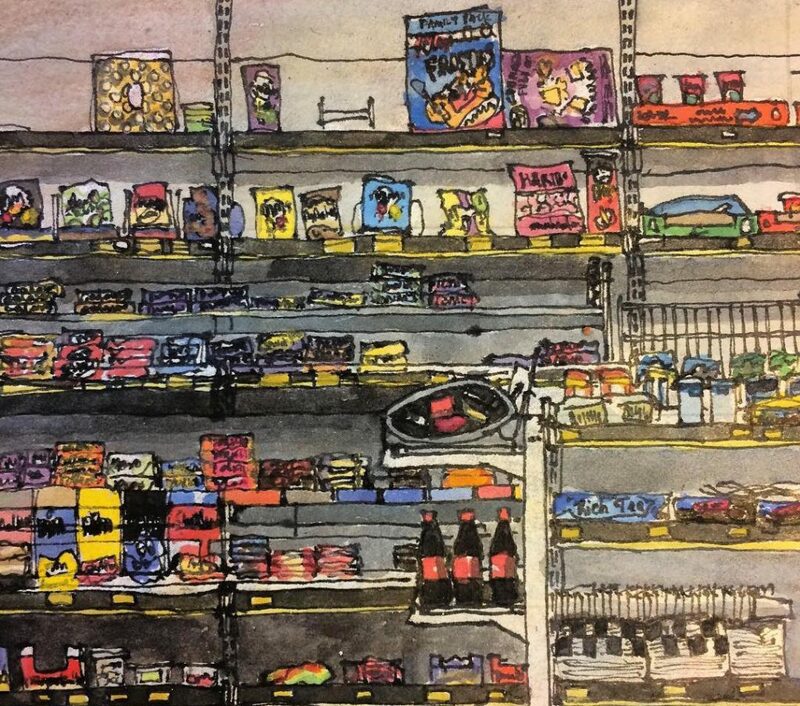 I’ve drawn lots of chocolates and sweets and magazines, showing the rich and varied interiors of these shops. 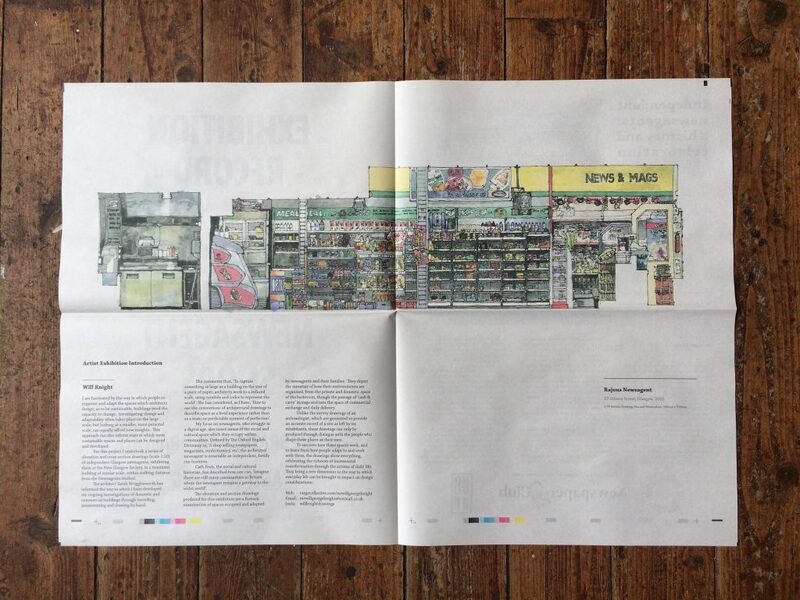 Drawing at scale allows for comparisons and contrasts to be made between the newsagents – how they organise space, how large their signage is, or how the window display is curated, for example. Shelf detail of a work in progress. Photo via Will Knight. What's special to you about newsagents? I feel they are very democratic spaces – everyone uses them and everyone has a recollection of their childhood local shop. Their stock caters for our basic everyday needs of milk or bread or cigarettes. Historically, through newspaper sales, they were a point of contact to the wider world. They are very local places, perhaps having local papers or adverts in the window. They are also places where we often walk to and therefore are more likely to meet neighbours, or at least recognise the proprietors, who become important reference points in the communities in which they serve. How are Glasgow newsagents unique? Glasgow newsagents aren’t particularly unique, but perhaps the high population density of the tenement building typology – blocks of 8 flats over 4 floors sharing a common stair – allows for a greater number of newsagents within a square mile. The newsagents here may well have 8 flats above them, unlike in a more conventional setting whereby only the proprietor lives above the shop. Interior of Kanco newsagent in Glasgow. Illustration by Will Knight. Glasgow newsagents do have one or two traits which might not be seen in other newsagents, selling Irn-Bru in large glass bottles which once emptied can be returned for cash, selling freshly baked morning rolls or stocking the Digger magazine, which is a weekly publication in Glasgow recording the latest crime stories from the city. How long did you work on this series? I started the first few drawings over a year ago, but have worked more consistently on the series in the last six months or so. 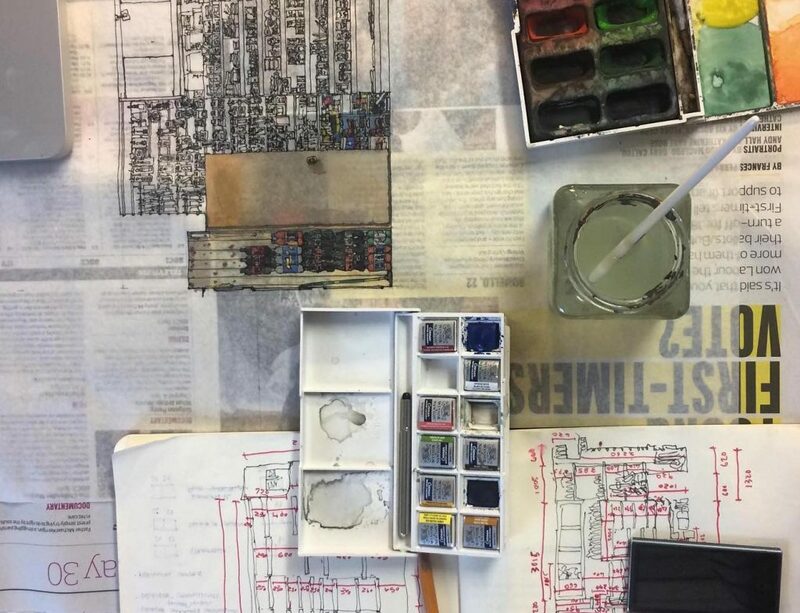 There’s always been a drawing on my desk to keep going with, and I could do more – you have to stop somewhere and it’s probably time to take stock and reflect a bit! It will be nice to see the work together. Could you tell us about some of the newsagents in your series? Did you talk to people working/shopping in the newsagents at all? 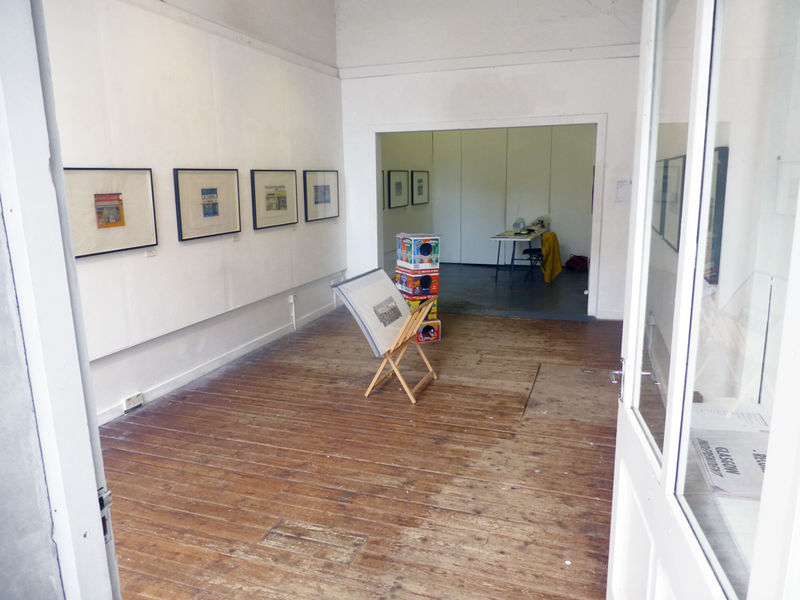 I chatted to all the proprietors to introduce myself and the project. In a previous project on bakeries in Glasgow I interviewed the bakers and recorded transcripts, which I would like to have done here had I had more time – I’ve no doubt there’s a few interesting tales there! I can only speculate that these people have a great insight into the communities they are based in, but even whilst taking measurements or photographs I witnessed them chatting to customers, knowing their particular orders and routines. I suppose we pop in and out of these shops, but those working there often work long shifts and so see the ebb and flow of daily life – from papers and milk arriving early in the morning, to commuters on their way to and from work, to school children crowding in on their way home, to late night revelers buying drinks or snacks. Not many people witness such goings on from dawn until dusk. 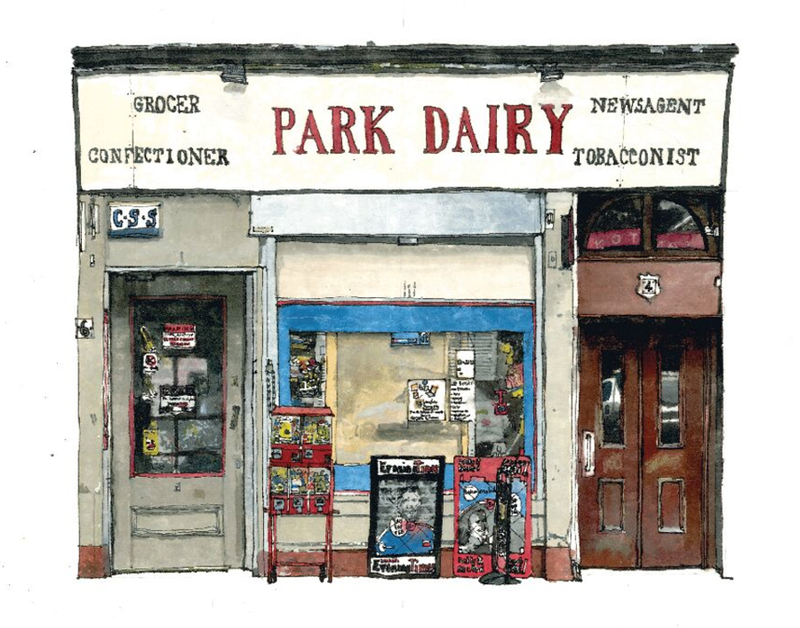 Park Dairy newsagent in Glasgow. Illustration by Will Knight. Do you have a favourite newsagent from the series? I love the elevation of Park Dairy. It’s very old fashioned and I like how the newsagent is tucked away off Argyle Street, on a lovely cobbled street that links the Argyle Street to Kelvingrove Park. The graphics are really nice and the shop is very unassuming. The drawing shows two little Gobstopper dispensers outside, looking like two little characters. Adam’s Newsagent frontage on Byres Road is also worth mentioning. The stock in the window is piled high and wide – you can get all sorts! Hair dryers, toasters, prams, footballs, telephones. The interior of Kanco is also pretty special – again, just because of the range of stock they have. The ceiling there is also really high, something else which tenements provide. 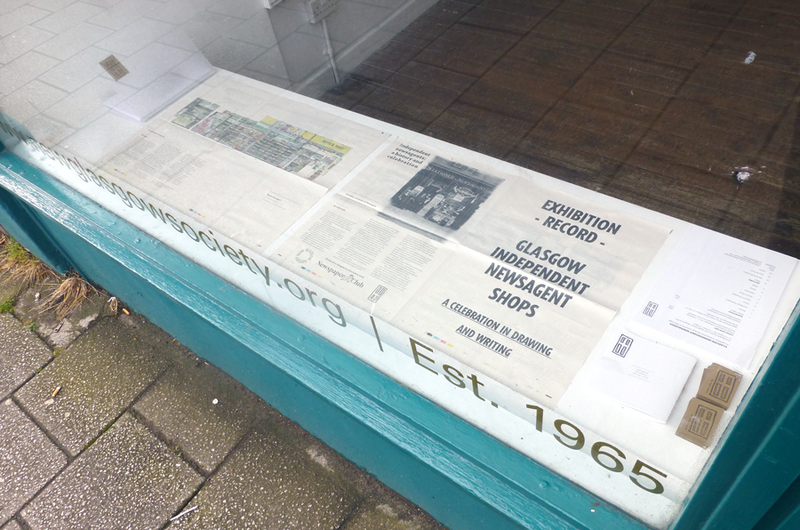 Glasgow Independent Newsagent Shops exhibition newspaper. Photo via Will Knight. What are three elements every good newsagent must have? I have thought about this a lot. Having come from an architectural background, it’s really not about the building. I think first it’s the contents: empty shelves are very depressing in any shop, but newsagents should be abundant in stock! That’s the stage set for the goings on in the shop. 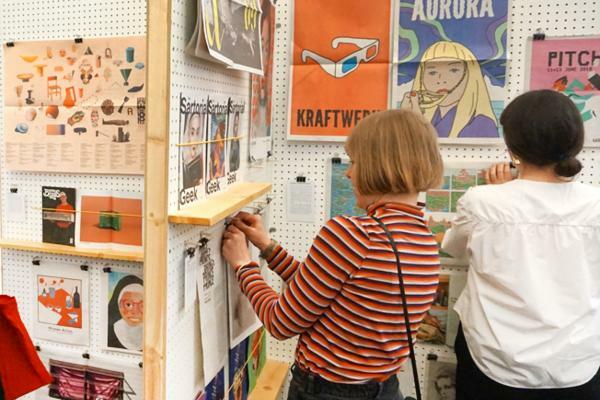 Even if it doesn’t sell, it provides a varied and colourful backdrop and the potential for more obscure items to be found – items that wouldn’t be found in Tesco Metro or Sainsbury’s Local. Radiator keys, bottle openers, cotton reels, that sort of thing. Secondly, an individual sign above the shop window. Many are now branded, which seems a shame given the monotony and ubiquity of so many of our high streets. There’s an opportunity for big bold graphics and a list of the opportunities a visit to the shop could provide. Lastly, a friendly shop keeper makes a big difference. Cut Price Groceries in Glasgow. Illustration by Will Knight. What has the response been to the project? Hopefully positive! I hope people engage with the drawings, firstly just as drawings. If people want to use them as a vehicle for thinking a bit more bout newsagents and social history, then that would also be great. 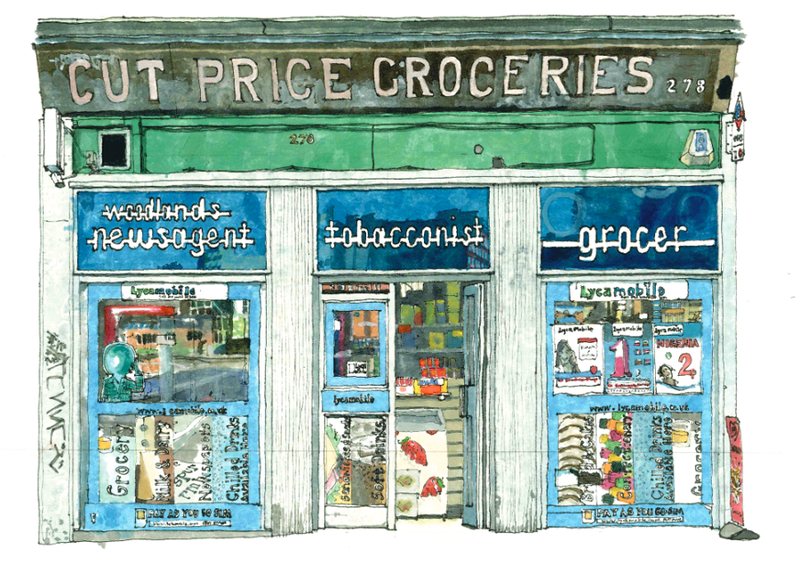 I don’t have an axe to grind about newsagents in particular, but want to celebrate them for what they are – or at least have been – and so to bring them into our social conscience through making the drawings has hopefully been a pursuit of some worth! Not sure yet, hopefully opportunities to keep making drawings like these! 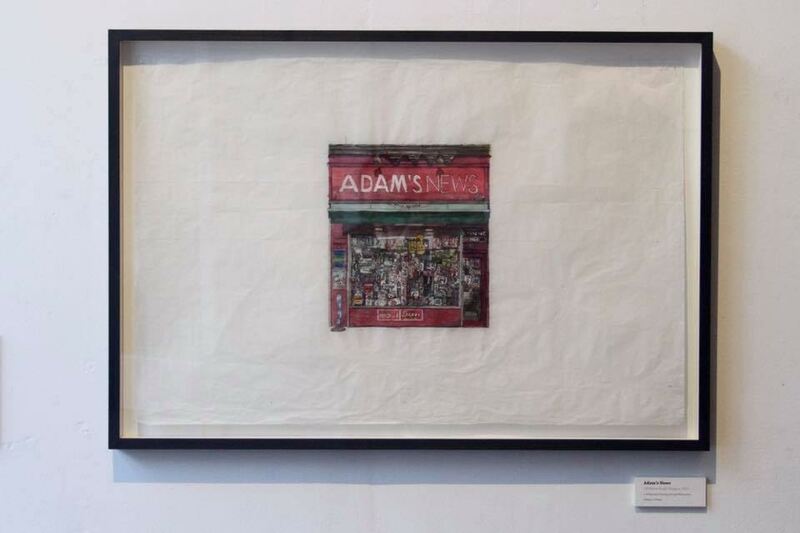 Glasgow Independent Newsagents Shops: A Celebration in Drawings - William Knight is on view at New Glasgow Society from 11 - 23 August 2017. Free admission.